JANET Beaumont has grown used to feeling constantly stretched, between the pressures of her working life with a Melbourne charity and her children, Thom and Jack. ”Full-time work might allay the financial difficulties, but it doesn’t stop me having to always run between work and children. You are constantly torn,” says the single mother from Mordialloc. She is far from alone. New figures, taken from the 2011 census, show her experience of parenthood unfolding across the nation as growing numbers of single women juggle busy working lives with the intense demands of bringing up children. In 2001 there were 121,400 single women in Australia with a child, working more than 35 hours each week. Jump forward a decade and their numbers have grown dramatically, by 43 per cent. By the time of the 2011 census, there were 173,600 single mothers working full-time hours across Australia. Cassandra Goldie, chief executive of the Australian Council of Social Service says a key reason for the jump, as cost of living pressures bite on more people, is that part-time and casual employment often do not work for single mothers because they provide neither the income nor the job security needed. 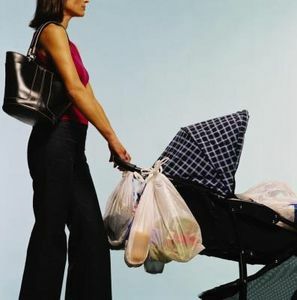 Of all single mothers, 20 per cent worked full-time in 2001, compared with almost a quarter last year. Ms Beaumont, who works in fund-raising and marketing, says the competing demands of her job and co-ordinating her children – Thom is five, Jack 15 – are difficult to keep under control. But women, whether single or part of a couple, want to provide for their children, Ms Beaumont says. The story appears the same across the country’s big cities, as single mothers strive to give their children the best they can, while also bringing in a steady income. Sydney mother Danielle Roux works full-time while also caring for 13-year-old Nicholas. She often feels immense guilt at not being home more often. ”I want to be there and hear his stories when he comes home from school, but I’m not, because there’s no real other option,” says the Roseville woman, who in the past has juggled up to three jobs at once. ”Sometimes I’m out of the house at 6.30am and I’m leaving him to get his own breakfast and prepare for school. And then he often comes home by himself. So there is a massive guilt factor of my child spending too much time by himself,” she says. Advocacy groups say the jump in single mothers working full-time is proof that the federal government’s plan to push them off parenting payments and onto the dole when their youngest turns eight is wrong. ACOSS and the Council of Single Mothers are damning of Labor’s plan to force more than 100,000 single parents – 90 per cent of whom are women – off single-parenting payments, from January 1. Single parents will still be eligible for Newstart, but Ms Goldie says the move will drive many into poverty.